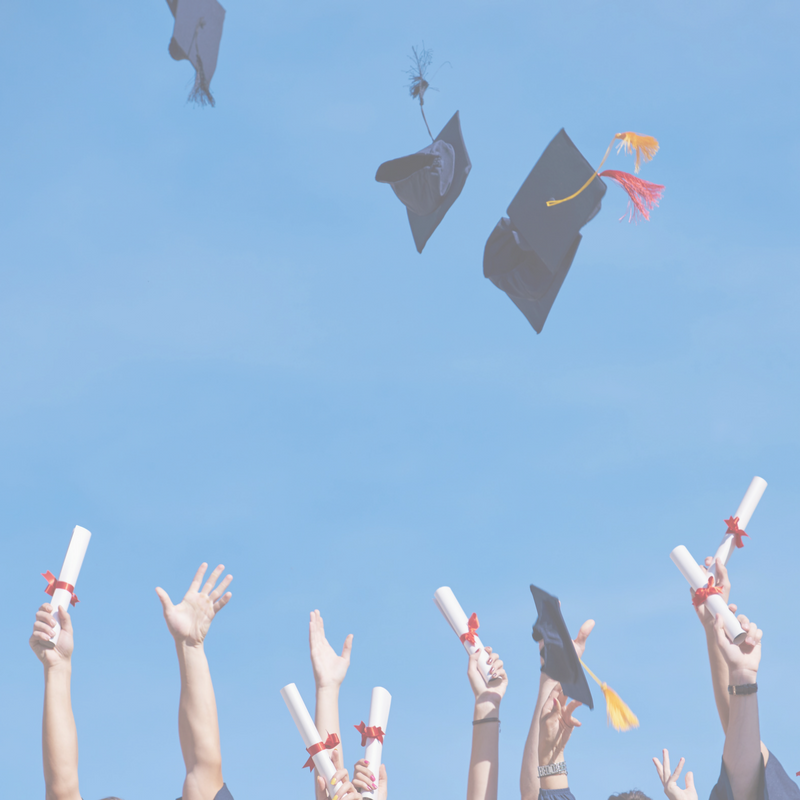 Prohibiting employees of a local education agency (LEA), except as required from state or federal law, from collecting information or documents regarding citizenship or immigration status of pupils or their family members. Requiring LEAs to adopt attorney-general-developed policies “limiting assistance with immigration enforcement at public schools, to the fullest extent possible consistent with federal and state law”. Requiring the superintendent (or equivalent) of an LEA to report to their governing body any requests from or school site access by law enforcement agents seeking to enforce immigration laws. 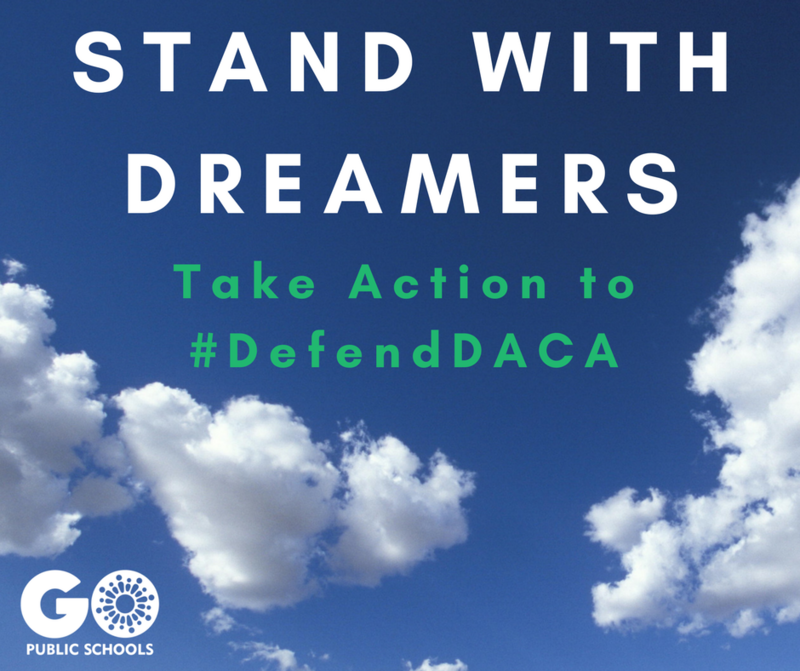 Requiring LEAs to inform families about their rights regarding their child’s education and make clear that those rights do not hinge on immigration status. At GO Public Schools, we are endorsing AB 699. 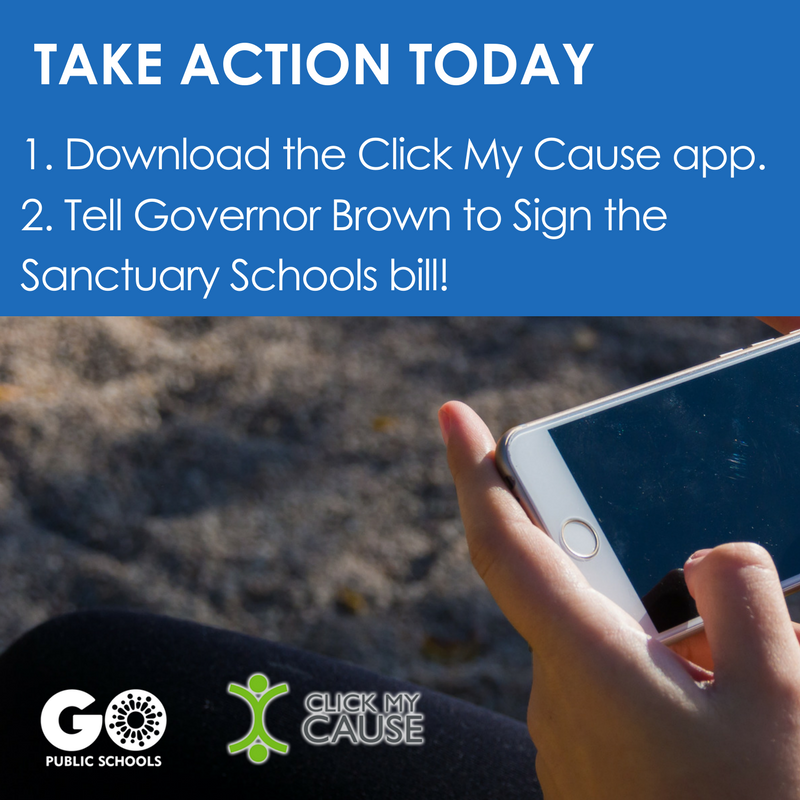 Using the Click My Cause app, which allows constituents to send a letter to Governor Brown with only two clicks on their smartphone (currently iPhone only), you can share your support of AB 699. If you don’t have an iPhone, you can contact Governor Brown here.